It’s amazing how times change, isn’t it? Once upon a time, the Kia Sorento was a bit of an ugly duckling. With a face only a mother could love, the budget SUV had a seriously undesirable image and drove about as good as it looked. Fast-forward to 2017, though, and Kia is a respected brand, producing vehicles that look superb. The new third generation of Kia Sorento looks the business and is simply no longer the budget SUV it once was. It’s all grown up, and now it’s a bit posh. Who’d have thought it all those years ago? How does the Kia Sorento perform? The sheer number of choices car buyers get these days can be a bit bewildering, but Kia has taken choice out of the equation completely when it comes to engines. You’ll have what they’ll give you, and that happens to be a 2.2-litre turbo diesel unit with 200PS. The only choice you’ll get is which gearbox you’ll want mated to it – a six-speed manual, or a six-speed automatic. Unusually, all Kia Sorento’s are 4WD and there is no option of an eco-friendlier two-wheel-drive only variant.As an SUV, the Kia Sorento handles how you’d expect it to. This is a large vehicle, so the body rolls around in the corners a little bit, and the suspension setup is quite soft. This makes it very good at distance driving and steady pottering, but equally, it leaves it lacking in driving character. The steering is lifeless, and the engine is rather flat, but they do their jobs well – i.e., they make the large Sorento easy to move around, and the people who are going to be driving this need that far more than they need driving pleasure. With just the one engine option and 4WD, economy isn’t a strong point. Kia says the Sorento should do around 46mpg, but we think you’ll be doing well if you manage to hit the 40 mark. On the upside, the Sorento is a fine tool for towing, capable of pulling up to 2.5-tonnes with its 441Nm of torque. While it may have been an ugly duckling in its earliest forms, the Kia Sorento has grown into itself nicely and looks like a muscular, expensive SUV now. Of course, it is more expensive than it used to be, Kia wants the Sorento to be able to step up and take on the likes of BMW, Audi, and Land Rover. Not surprisingly, that’s much easier said than done, and the Sorento isn’t quite up to achieving the interior quality of Audi or BMW, but it’s by no means a cheap-feeling car. Our ‘KX-2’ trimmed Sorento comes with attractive leather trim – an expensive option on many German rivals – which really brings it upmarket, but it just falls short in the overall design. Certainly, to get anything close to an Audi interior, manufacturers need to be really on point, as Audi makes some of the best in the world. One thing we would say, there’s very little difference in quality between our Sorento and Land Rover’s Discovery Sport, another seven-seater it must go up against. 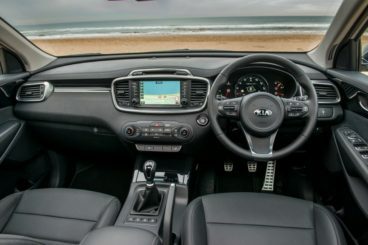 It’s very hard to dispute the overall build quality of Kia’s products now, and this is backed up by the South Korean firm’s seven-year (100,000-mile) warranty. The marque has faith in all its cars, and existing customers regularly return positive surveys in the brand’s favour. 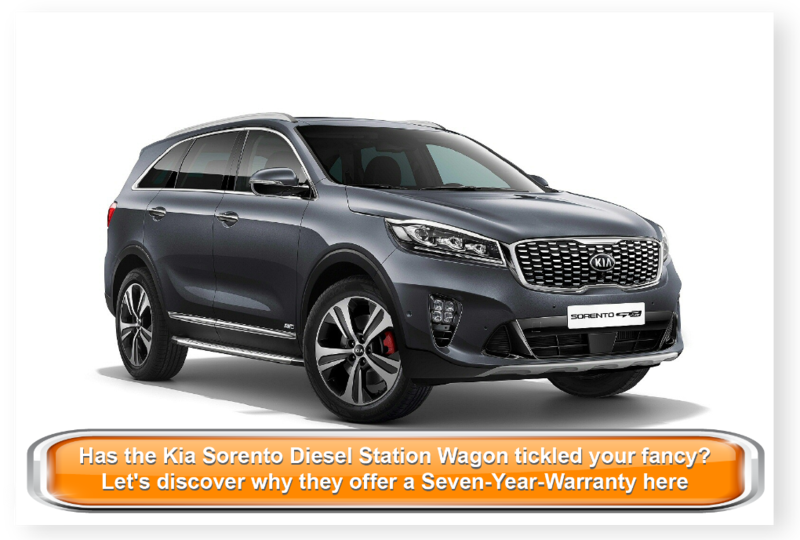 The Kia Sorento comes in four different trim levels, all called ‘KX’, followed by a digit – 1 being the entry level, and 4 being the top of the range. Like many Asian car manufacturers, Kia believes in offering a very slim options list and, instead, encourages buyers to choose the trim level that suits their needs the most. Our test car is the KX-2, which provides more than enough for most requirements. On board, we have dual-zone climate control, a seven-inch touchscreen infotainment system, heated front and rear seats, a heated steering wheel, rearview camera, and leather upholstery. Step up to the ‘KX-3’ and you’ll find there are some extra luxuries like a panoramic glass sunroof and electrically operated boot, but really, we find the extra price – more on that later – is hard to justify at KX-3 and KX-4 levels. Most cars with a seven-seat layout are tight on space in that third row, but Kia has done a good job in making as much room as possible back there. While still only suitable for children over any sort of distance, space is actually rather good, especially in terms of legroom. When the last row isn’t occupied you’ve got a massive boot space of 660-litres, and with both rows folded down, that increases to a gargantuan 1,732-litres, turning the Sorento into a small van. 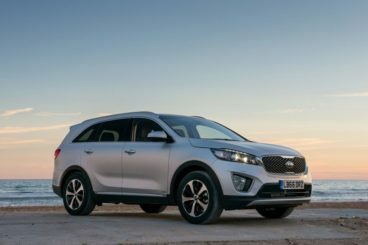 The Kia Sorento starts in KX-1 specification at £28,795, but we’d recommend going for the £32,000 KX-2 as we have here, so that you get a stronger level of equipment and little touches of luxury. The KX-3 trim will set you back £35,850, and the automatic only – normally £1,700 extra – KX-4 will cost £40,950. It’s easy to see that the manual KX-2 represents the best value for money in pricing at least. Good value can be found in the leasing market. 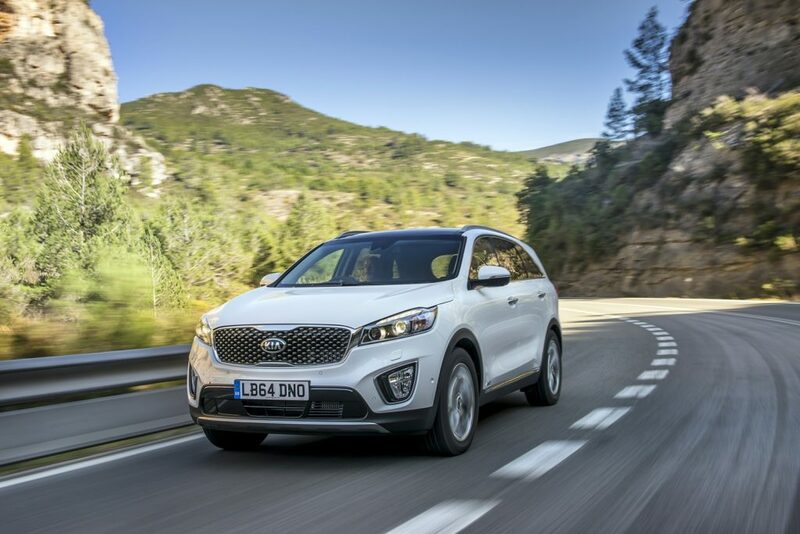 For business customers, we managed to source a Sorento KX-2 manual for £240 a month with nine months upfront, and limited to 10,000 miles a year. It’s more expensive as always for personal lease customers, but you can still find plenty of deals on a KX-2 manual – as tested – for under £300 a month. Be aware, though, at this price point its only contract with a low annual mileage. There’s just so much of it! Small details matter, though, the flat floor across the second row, the lack of a big lip on the boot, the easy way the seats fold down. It makes the space that the Sorento has accessible. It’s also got some of the best third-row room available. Perhaps a little predictable as a ‘Pro’ when it comes to Kia, but seven years is an awfully long time. It’s probably also worth mentioning that its rivals only come with three or five years of warranty. Kia is no longer perceived as a cheaper, inferior brand. Its SUVs now look classy and drive very well, even if they aren’t perfect in this case. It’s perhaps not got enough to impress some stuck-up suburbanites, but it looks fantastic on a driveway, regardless of badge snobbery. Not often this happens, is it? Kia will sell you a Sorento with a 2.2-litre turbo diesel, and 4WD. That’s it. They could really do with another engine option just for a bit of variety and flexibility – perhaps hybrid technology – and front-wheel drive only options to help bring emissions down, and boost mpg. It’s hard to criticise a seven-seat SUV for not being particularly good in the corners, and normally we wouldn’t, but Land Rover has come up trumps with the Discovery Sport, a seven-seat SUV that drives much better than our Kia Sorento. It’s not important to everyone, but it’s certainly a low point of this car. The automatic gearbox option is expensive, but it also drops mpg by a significant sum. In an era where automatic boxes are slowly getting much better with fuel economy, this is very disappointing and makes the automatic nearly impossible to recommend. 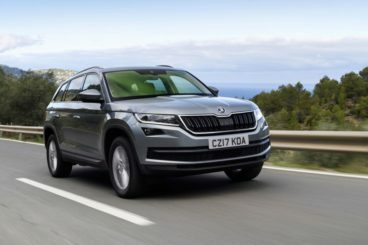 These two cars are going to provide the toughest opposition to our Kia Sorento, and Skoda is the new kid on the block here, with its first ever SUV – the Kodiaq – having only just come into the world. Land Rover, meanwhile, is a brand with high expectations and a premium image. It has to be a good car, right? Should anyone be worried that the new Kodiaq is Skoda’s first crack at an SUV? Not at all, because Skoda is owned by Volkswagen, who turn own lots of other car companies most notably Audi, and Audi makes brilliant SUVs. The Skoda Kodiaq is a handsome devil as well, a little more angular than our Kia Sorento, but what you prefer will be down to personal taste. The Sorento is a very European-looking SUV, so we wouldn’t say it’s been out-styled at all. However, in its strong selection of both petrol and diesel engines, we would certainly say it holds an advantage over the Sorento in that department. While the petrol engines on offer aren’t exactly impressive in terms of power, it’s worth remembering that sometimes a petrol engine option is good for people who do fewer annual miles – so it’s good the Kodiaq can offer something the Kia cannot. It’s also available with front-wheel drive, again cutting emissions and improving the economy for those not determined to do any off-roading. It’s worth pointing out that the Kodiaq is normally a five-seater with a very large boot that happens to be available as a seven-seater option. There isn’t quite as much room to breathe in the third row, but there is more space in the boot with all three rows in place – 270-litres to be precise – and with both tiers folded down, you’ve got over 2,000-litres of space to fill. There something about a Skoda that makes you feel all warm and fuzzy inside. They are excellent value, honest, and well-made cars that are manufactured with a real pride in Skoda’s home nation of the Czech Republic. Our Kia has its work cut out with this one. Land Rover should have the upper hand here, being the most ‘premium’ brand in our little seven-seater showdown. Certainly, it’s the best car here of our three, in terms of driving dynamics, feeling very composed and settled on the road – and with good feedback provided to the driver from the controls. However, we’re discussing seven-seat SUVs, not sports cars, so how important is this really? 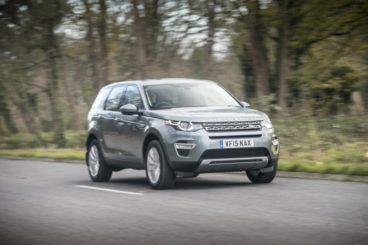 We think of it as a luxury, and this is what the Discovery Sport wants to be in this battle. The premium choice, the lavish choice, something that considers itself to be slightly above the competition – it certainly is in terms of pricing! It’s well made, as you’d expect from Land Rover, with a functional, smart interior space that does feel upmarket. It has the best infotainment system, the finest driving dynamics, and the elite badge. However, we’re not convinced it looks the most expensive, even though it is. The third row of seats are also the most cramped of the three cars here, and it has more than 300-litres less potential load space than the Skoda Kodiaq. Something about it just leaves us feeling slightly unconvinced, and that something is one of its rivals. The Kia Sorento is a solid, if unspectacular, choice if you’re looking for an SUV that can seat seven. It looks smart, drives well, and has enough space for most needs. However, its top-range models are pricey, making a Land Rover Discovery Sport an option. The real star here though is the Skoda Kodiaq. It is incredibly good value and gives you that feel-good factor that all Skodas seem to do. The Czech automaker will also likely have some very tempting offers to lure customers in with. For the money, the variety, and the complete overall package, the Skoda Kodiaq is the car to have here.